Cute cute pups ! !........and cute cuteee Hyun Joong. 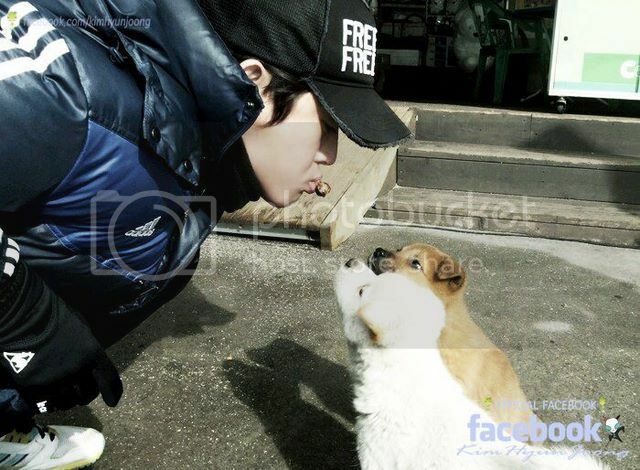 Leader's love for dogs is apparent whenever he meets them. Wow...here we are in 2013.....2012 went past sooo fast, I'm still reeling !! 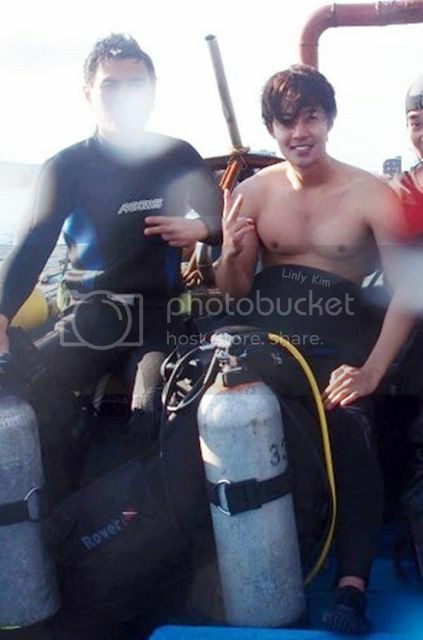 And it seems Hyun Joong had a lot of fun and excitement diving in his Holiday. I'm glad he had fun. 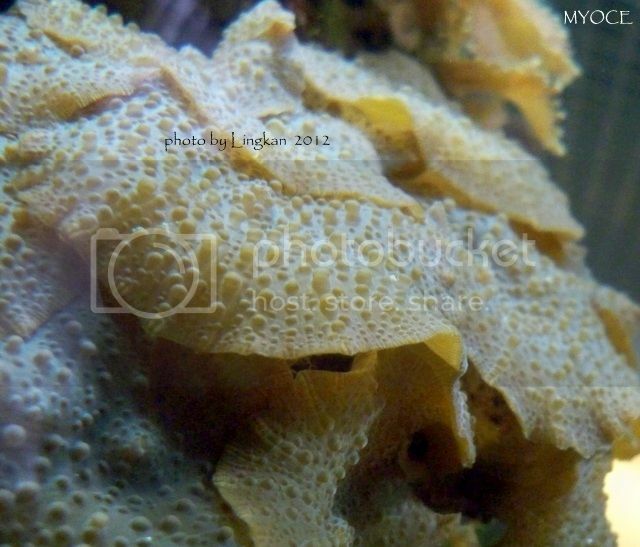 And Yong Joon too.....he went to Hawaii [click here to see pics] , wonder what he's been doing there....golf ? And it's so interesting to read in lovebaeyongjoon.com this excerpt : I asked for a comment several times during this time, he kept his smile but did not leave any words.Later, he got on a car driven by a beautiful lady. Finally, he opened the window waved to media and showed us his “Yon-sama smile.” Ahhh...I hope the "beautiful lady" isn't the driver/the secretary/hotel rep/others...I hope it's some one more meaningful to him...kekeke....dare we Baefamily hope for happy things to come ?? It's our dearest wish....even Hyun Joong has spoken about this in an interview....he has the same wish for BYJ. 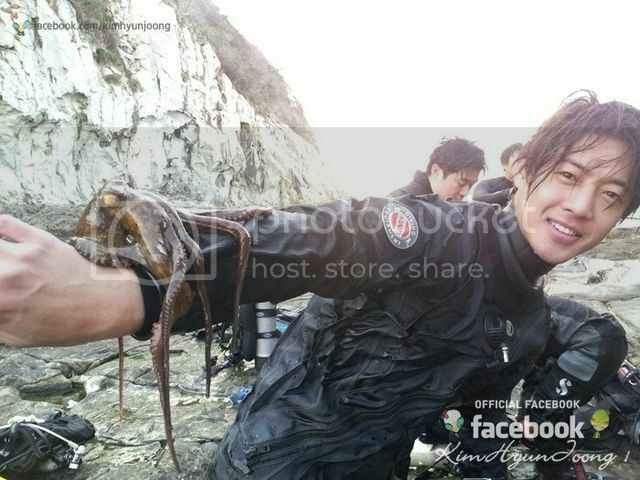 Ohhh....that's rather a big'un, Hyun Joong !! 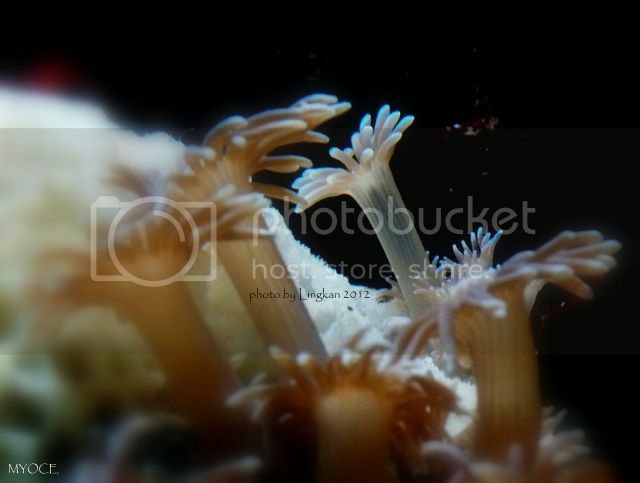 Is it dangerous ? ?....anyway...it looks like an alien being^^ it's talking in a friendly and relaxed manner to Hyun Joong. Ok, when he's into something he likes, he will go totally into it...so he's getting all those certification for diving....Hyun Joong dear, are you planning to be a diving instructor ?? If you are, we will all get in line for private lessons...kekeke ! Wouldn't you like to be a Mermaid in those waters HJ dove ??? 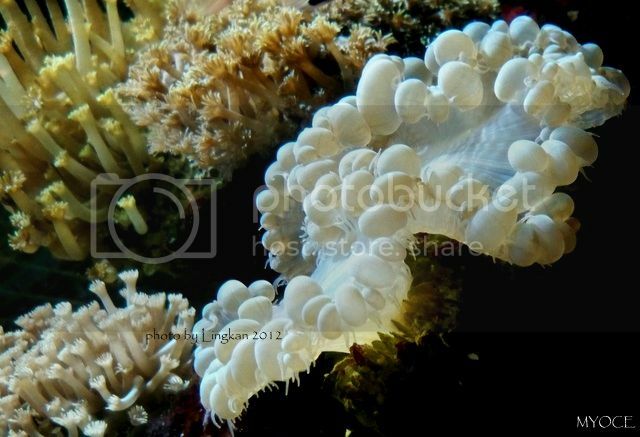 Don't you think the white one looks like a fungus or bacteria or something ? Kalau orang NTT lihat, mungkin ingat Kue Solor..hehehe.